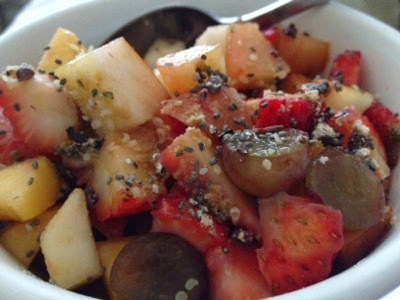 I added coconut sugar, chia seeds, and hemp seeds to a fruit salad which i ate along with a green smoothie for breakfast. 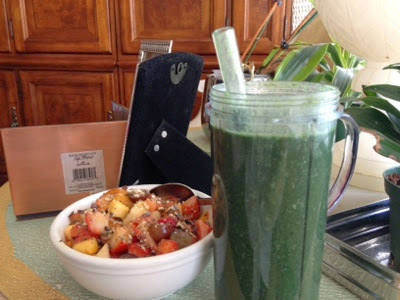 My smoothies are always different but i pretty consistently add bananas, spinach, Maca, Chia, Cacao, hemp, nut milk, Spirulina, and coconut sugar. The rest is any fruit or veggie i can find in the fridge.